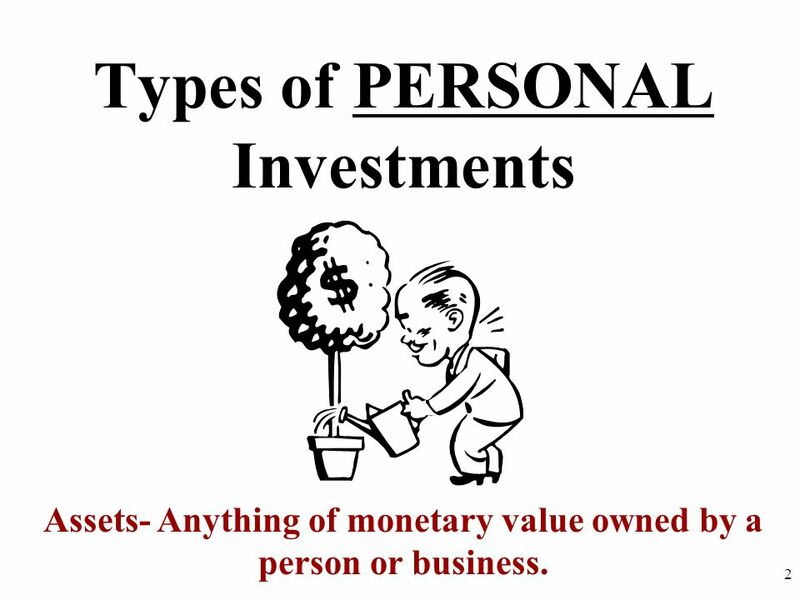 Assets- Anything of monetary value owned by a person or business. To get more money, you sell half of your company for $50 to your brother Tom. You put this transaction in writing: "Lemo will issue 100 shares of stock. Tom will buy 50 shares for $50." Tom has just bought 50% of the business. 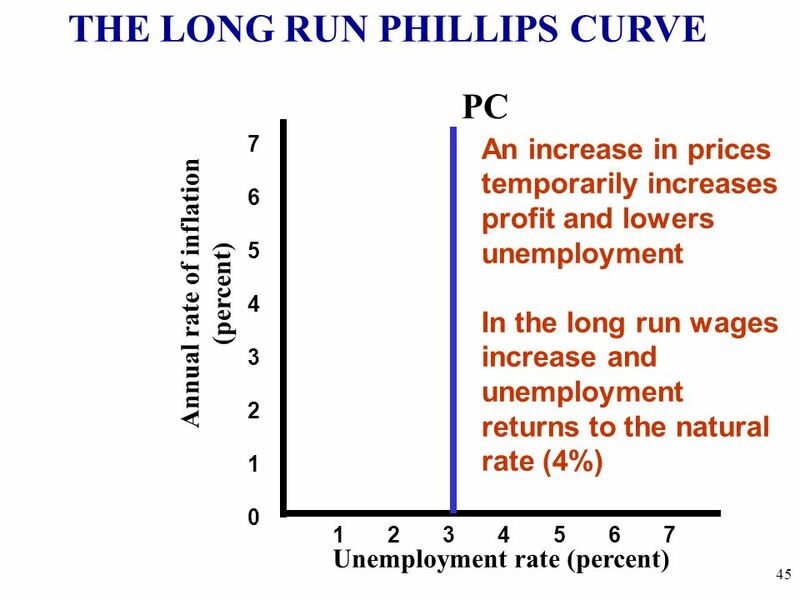 He is allowed to make decisions and is entitled to a percent of the profits Stockowners can earn a profit in two ways: 1. 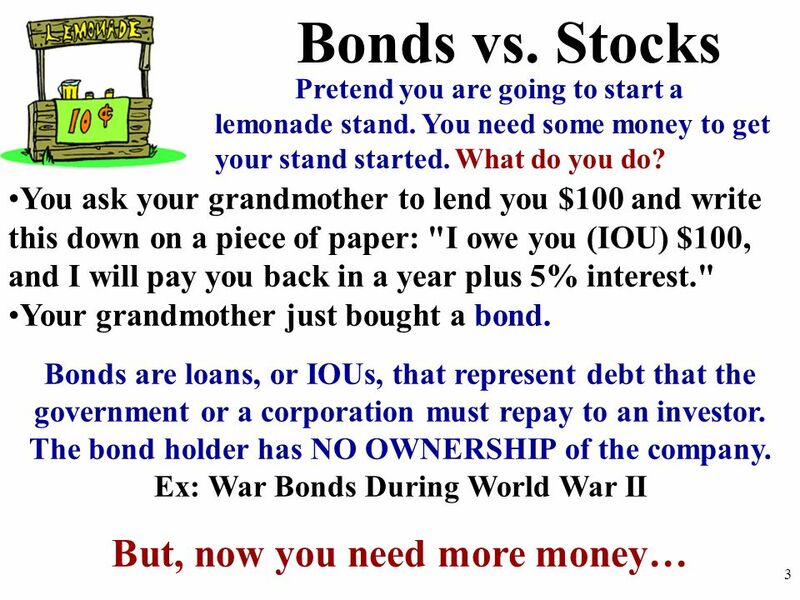 Dividends, which are portions of a corporation’s profits, are paid out to stockholders. The higher the corporate profit, the higher the dividend. 2. A capital gain is earned when a stockholder sells stock for more than he or she paid for it. 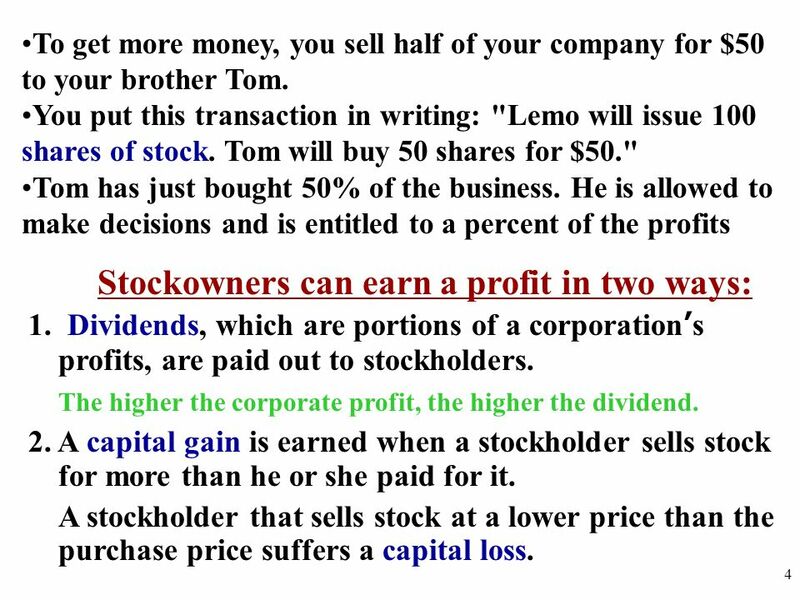 A stockholder that sells stock at a lower price than the purchase price suffers a capital loss. 6 You better break out the chainsaw! WHY DO WE HAVE MONEY? What would life be like if we didn’t have money? The Barter System: goods and services are traded directly. No Money. 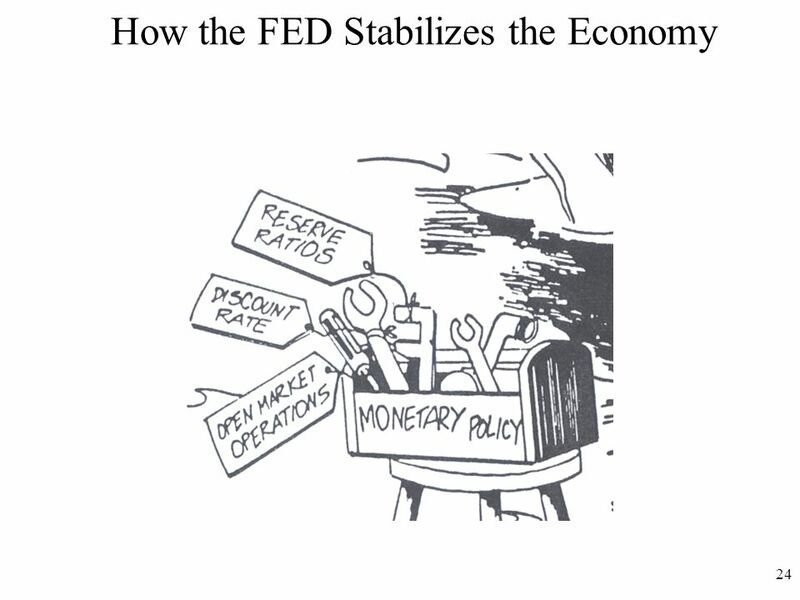 Problems: Before trade could occur, each trader had to have something the other wanted. Some goods cannot be split. If 1 goat is worth five chickens, how do you exchange if you only want 1 chicken? You better break out the chainsaw! 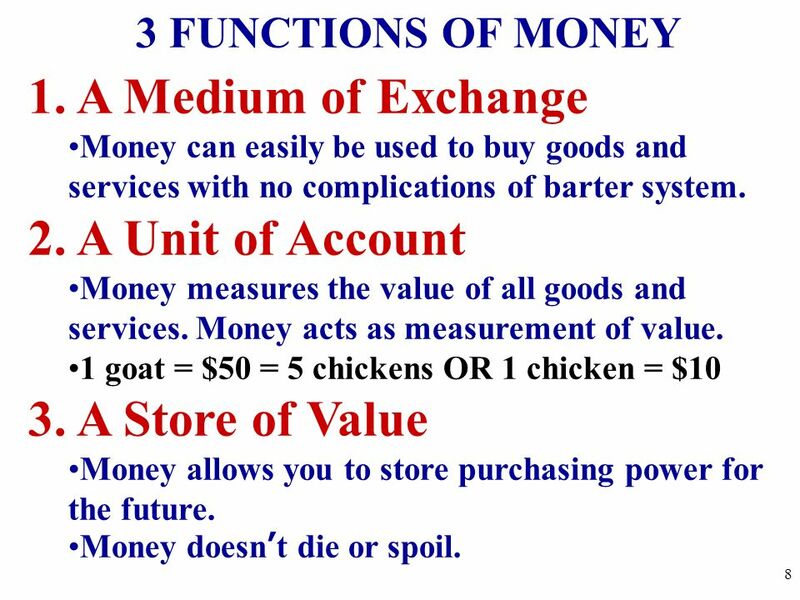 3 FUNCTIONS OF MONEY 1. 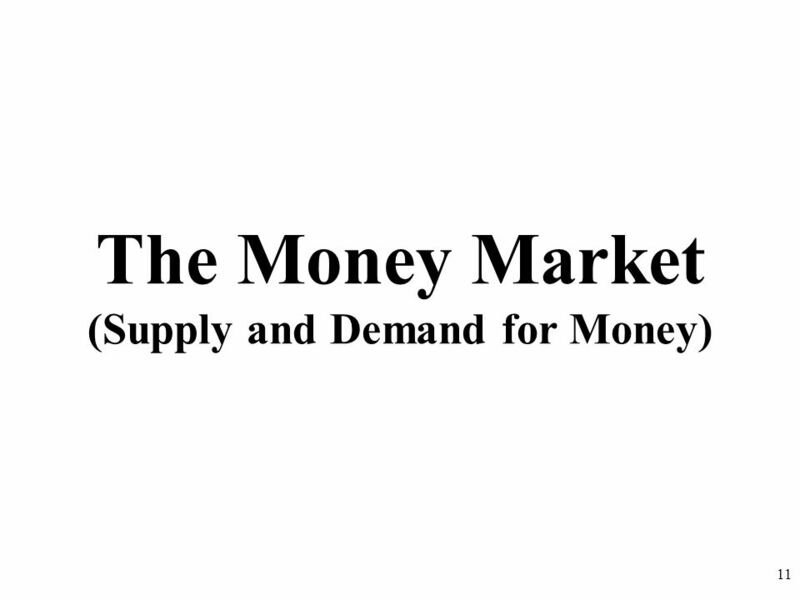 A Medium of Exchange Money can easily be used to buy goods and services with no complications of barter system. 2. 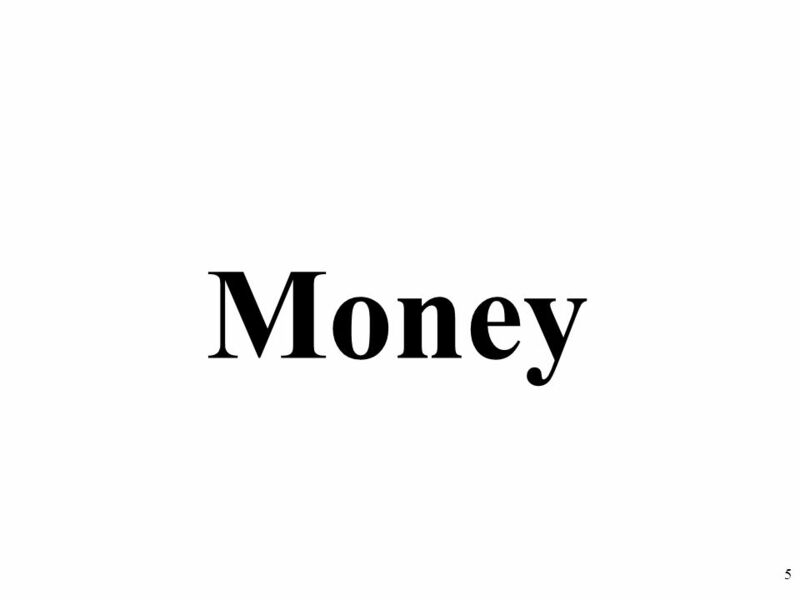 A Unit of Account Money measures the value of all goods and services. 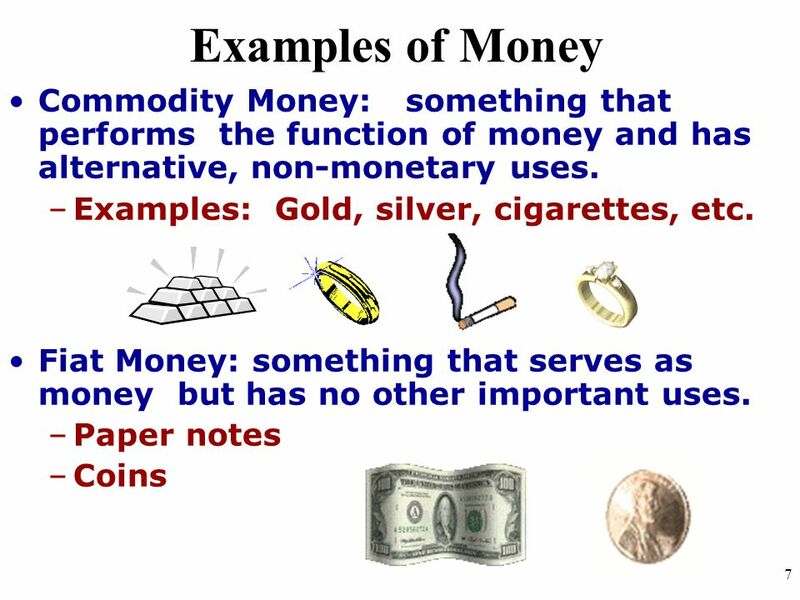 Money acts as measurement of value. 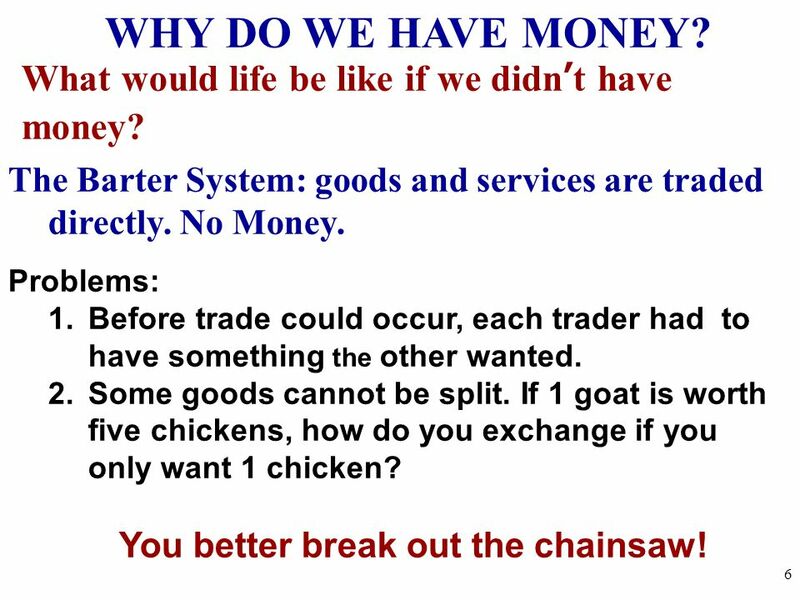 1 goat = $50 = 5 chickens OR 1 chicken = $10 3. 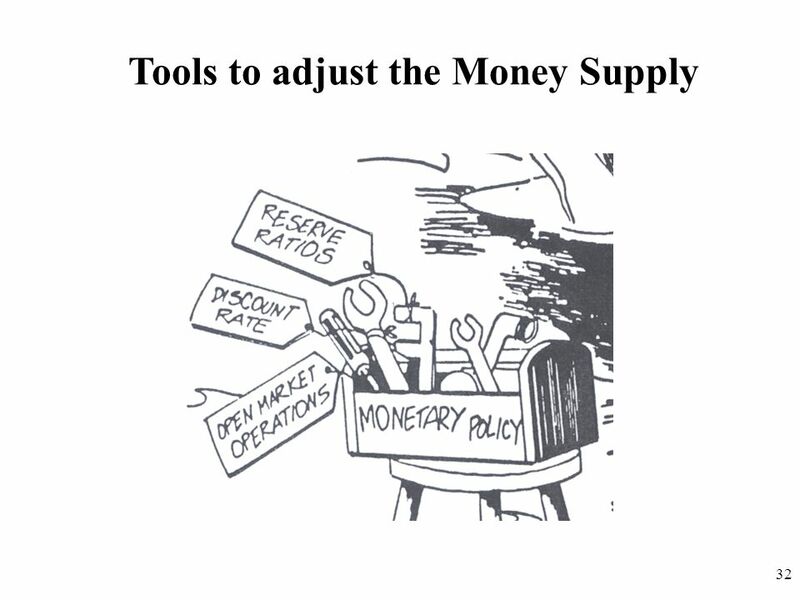 A Store of Value Money allows you to store purchasing power for the future. Money doesn’t die or spoil. 9 WHAT ABOUT CREDIT CARDS? 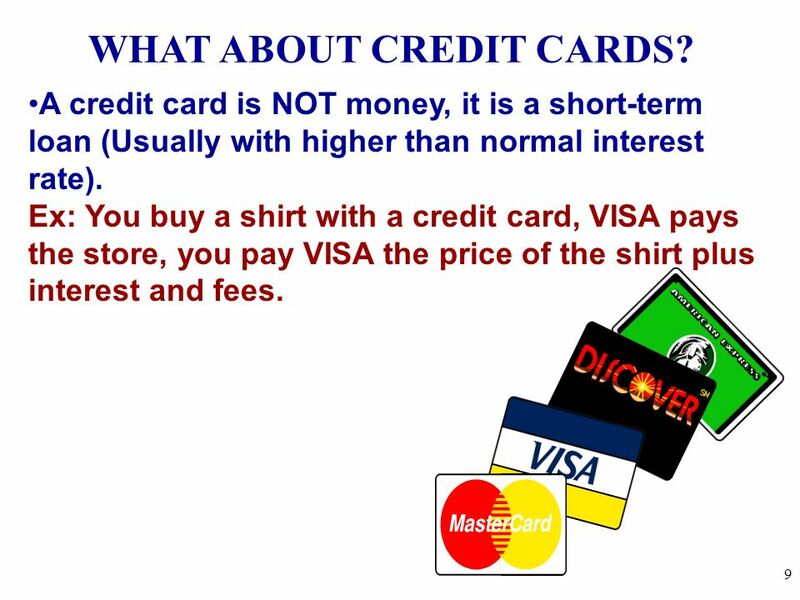 A credit card is NOT money, it is a short-term loan (Usually with higher than normal interest rate). Ex: You buy a shirt with a credit card, VISA pays the store, you pay VISA the price of the shirt plus interest and fees. 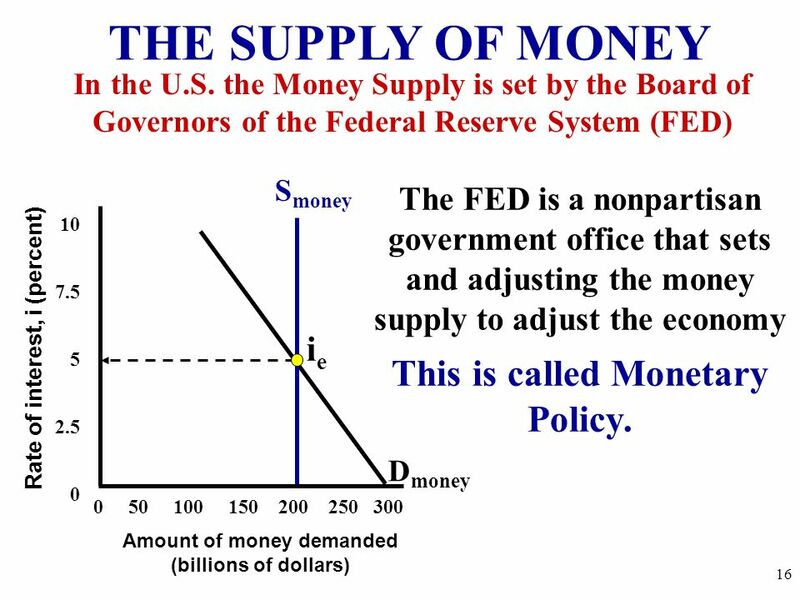 10 WHAT BACKS THE MONEY SUPPLY? There is no gold standard. 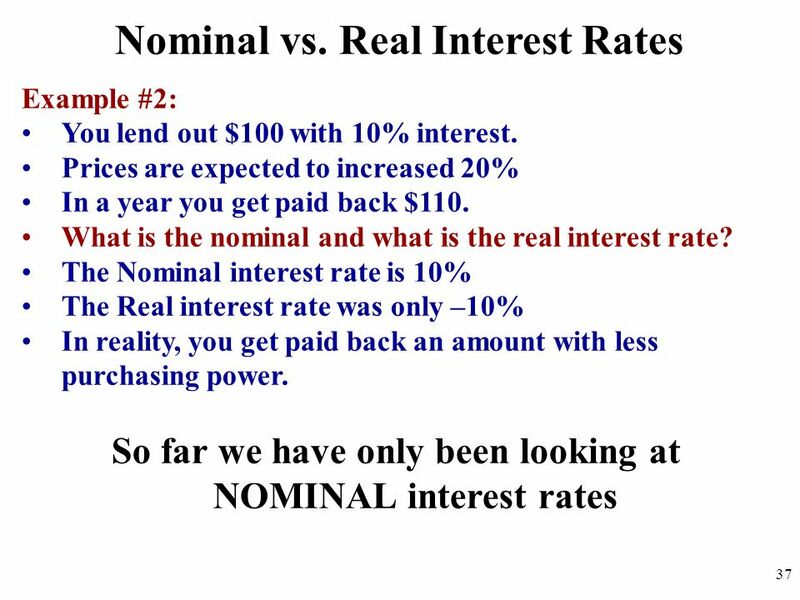 Money is just an I.O.U. 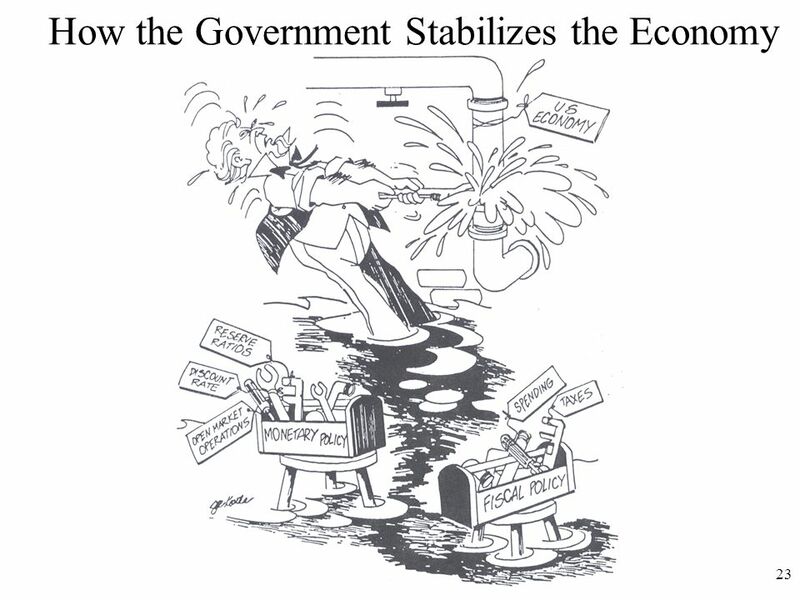 from the government “for all debts, public and private.” What makes money effective? 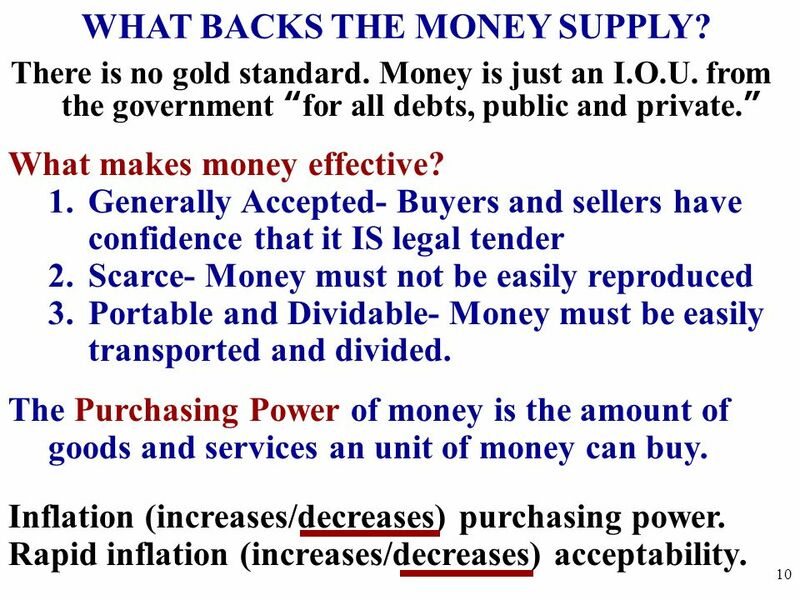 Generally Accepted- Buyers and sellers have confidence that it IS legal tender Scarce- Money must not be easily reproduced Portable and Dividable- Money must be easily transported and divided. 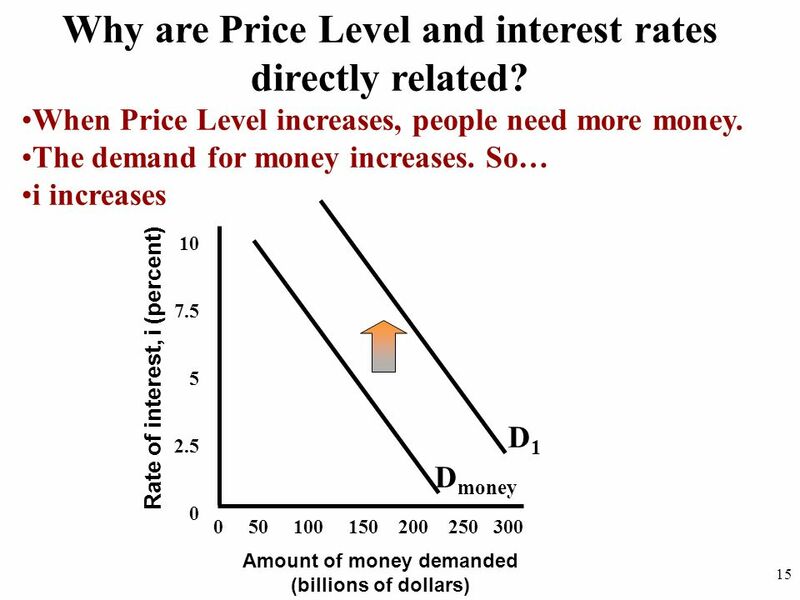 The Purchasing Power of money is the amount of goods and services an unit of money can buy. 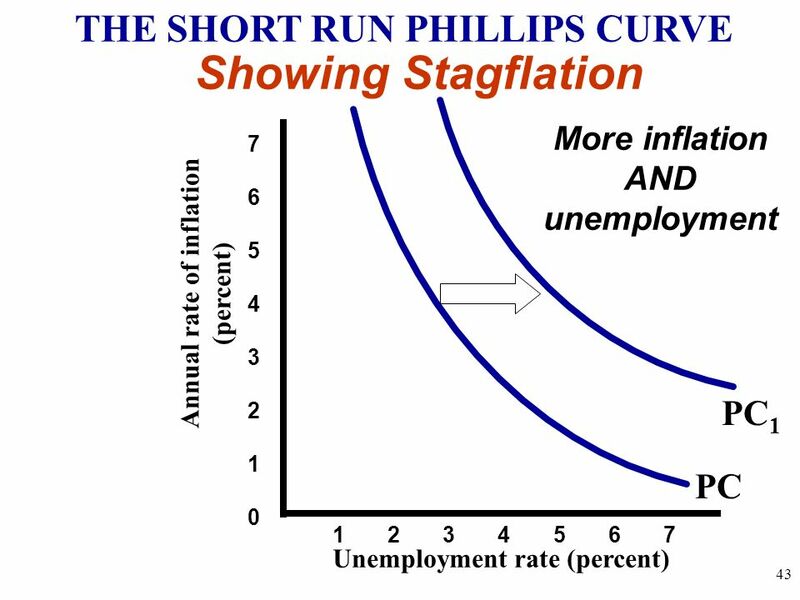 Inflation (increases/decreases) purchasing power. 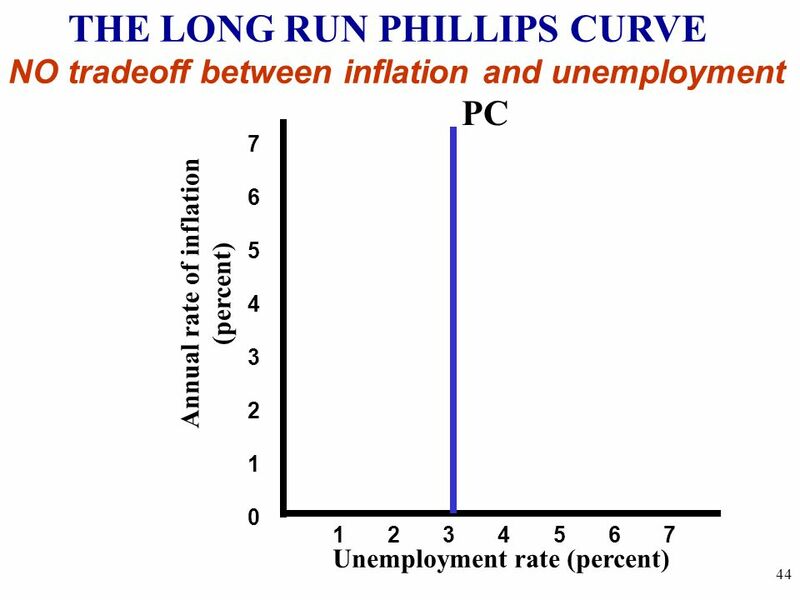 Rapid inflation (increases/decreases) acceptability. 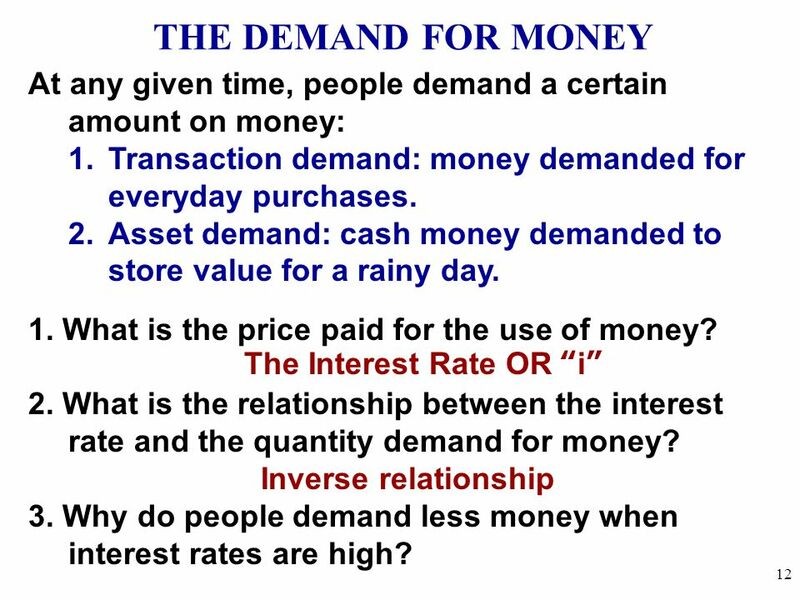 THE DEMAND FOR MONEY At any given time, people demand a certain amount on money: Transaction demand: money demanded for everyday purchases. 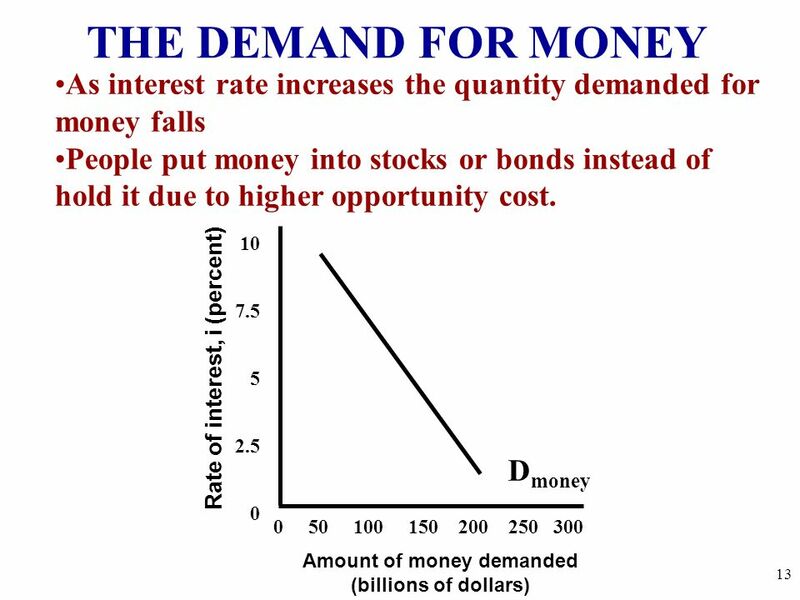 Asset demand: cash money demanded to store value for a rainy day. 1. 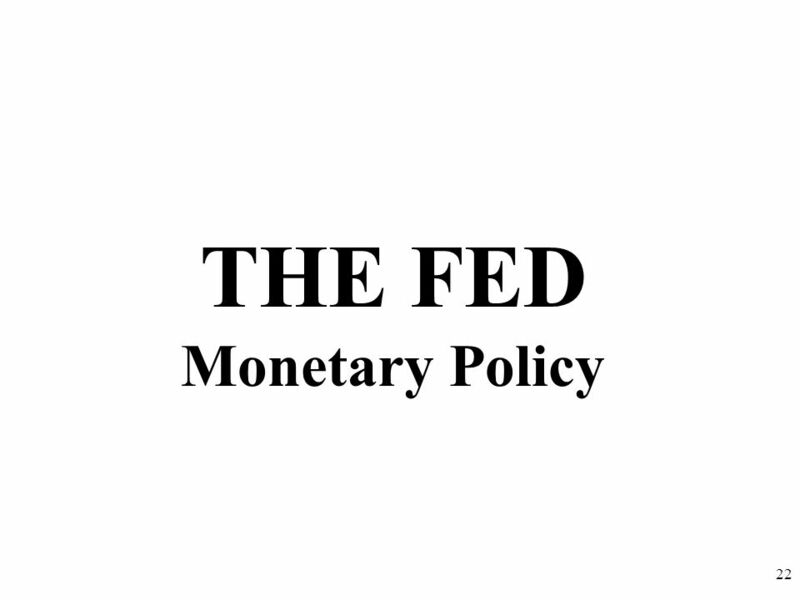 What is the price paid for the use of money? 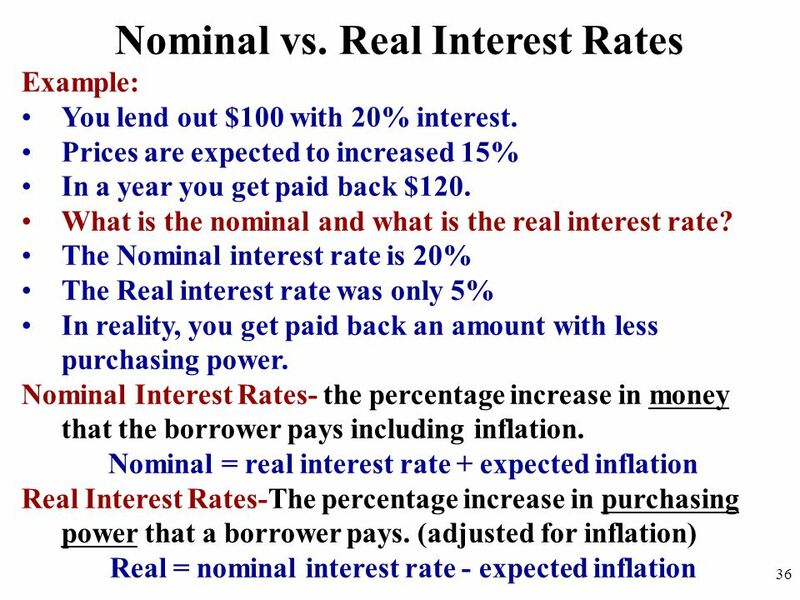 The Interest Rate OR “i” 2. What is the relationship between the interest rate and the quantity demand for money? 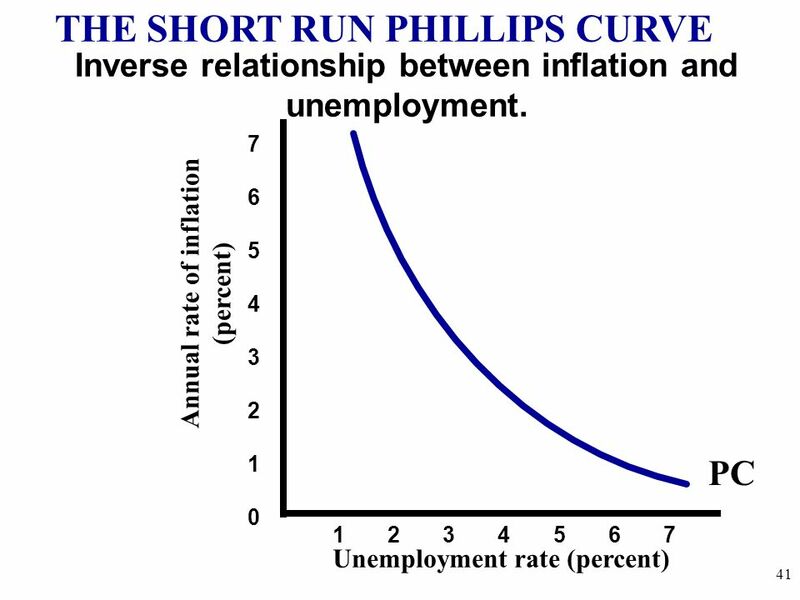 Inverse relationship 3. 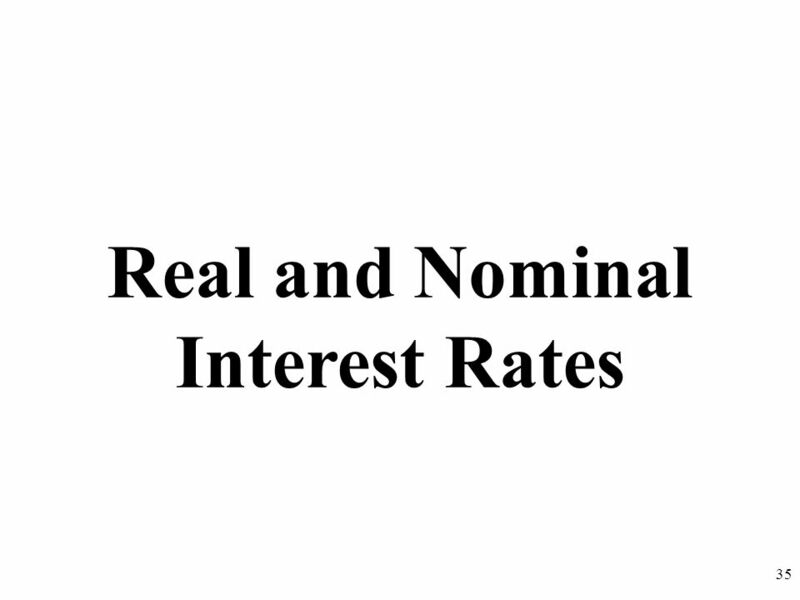 Why do people demand less money when interest rates are high? 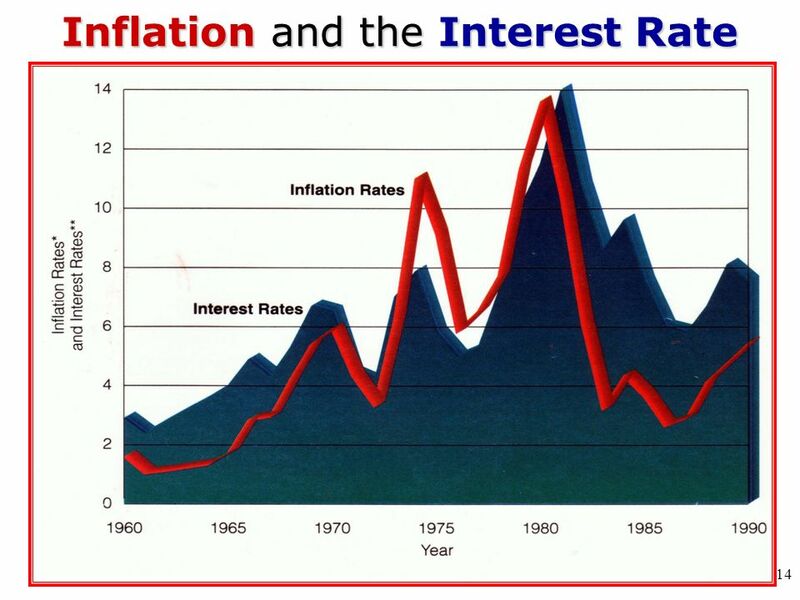 15 Why are Price Level and interest rates directly related? 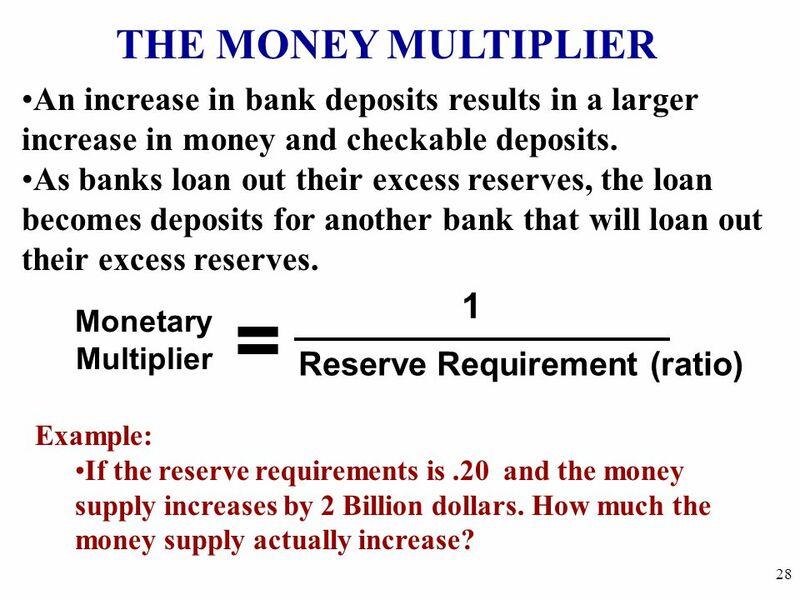 28 THE MONEY MULTIPLIER An increase in bank deposits results in a larger increase in money and checkable deposits. 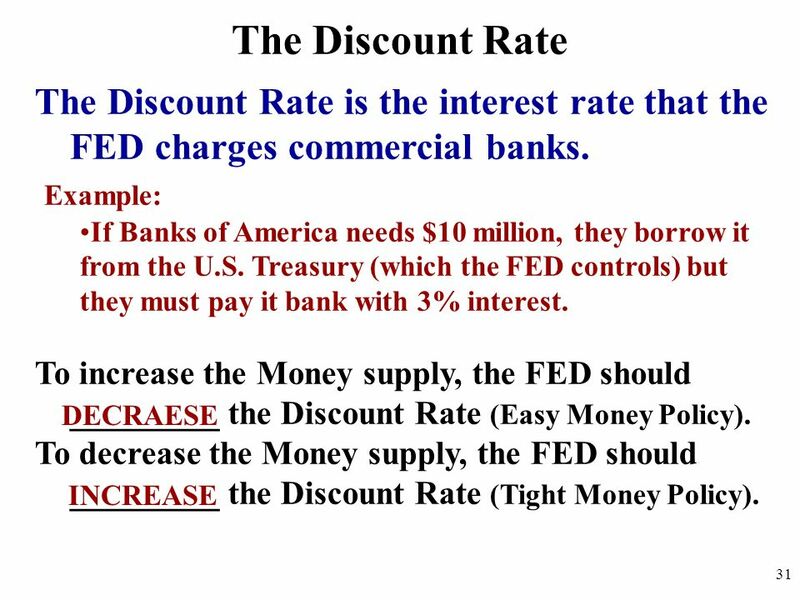 As banks loan out their excess reserves, the loan becomes deposits for another bank that will loan out their excess reserves. 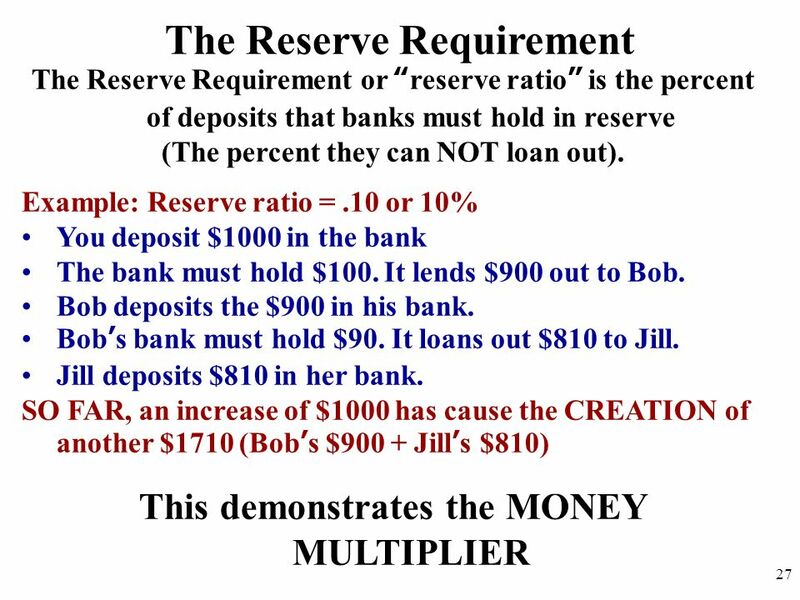 Monetary Multiplier Reserve Requirement (ratio) 1 = Example: If the reserve requirements is .20 and the money supply increases by 2 Billion dollars. 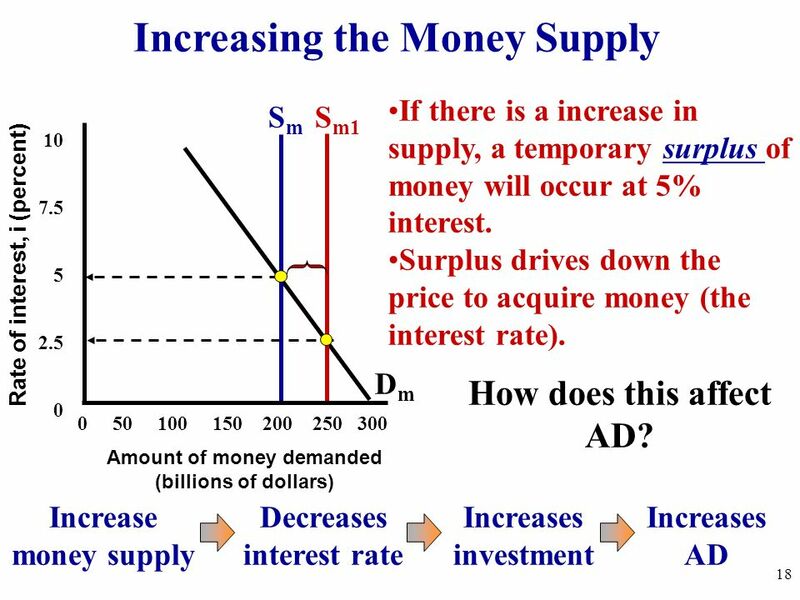 How much the money supply actually increase? 34 Don’t forget the Money Multiplier!!!! 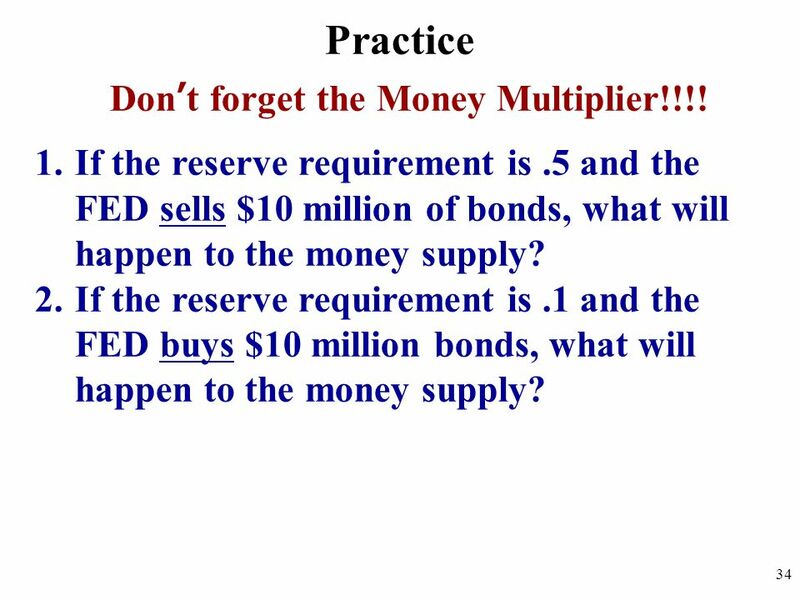 Practice Don’t forget the Money Multiplier!!!! 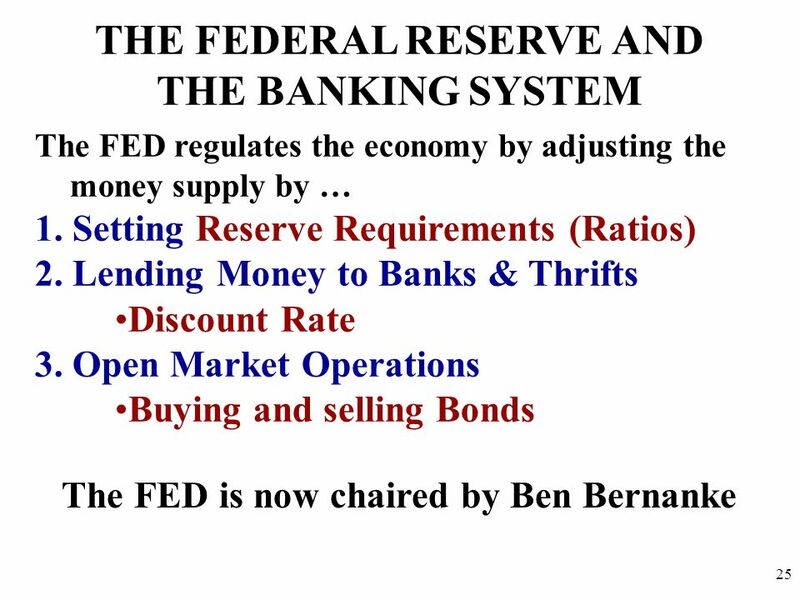 If the reserve requirement is .5 and the FED sells $10 million of bonds, what will happen to the money supply? 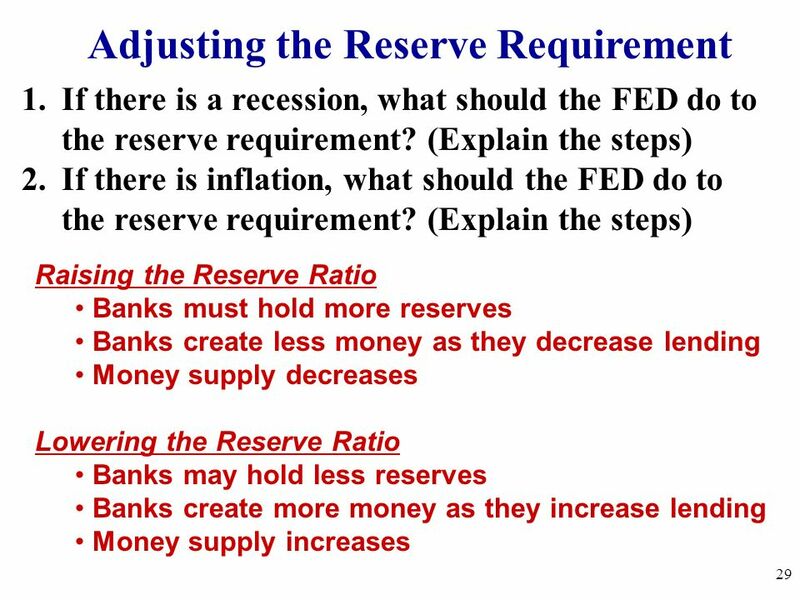 If the reserve requirement is .1 and the FED buys $10 million bonds, what will happen to the money supply? 39 This IS the Crowding Out Effect!! 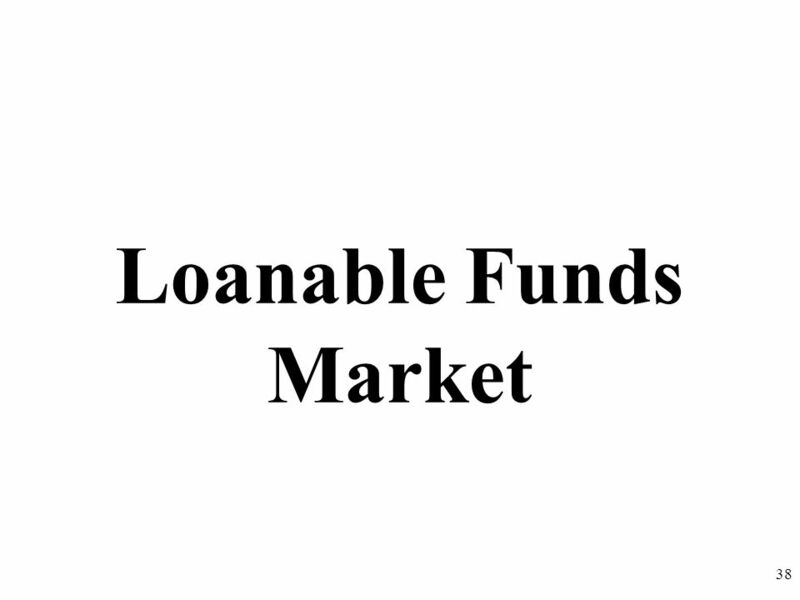 Loanable Funds Market The private sector supply and demand of loanable money. 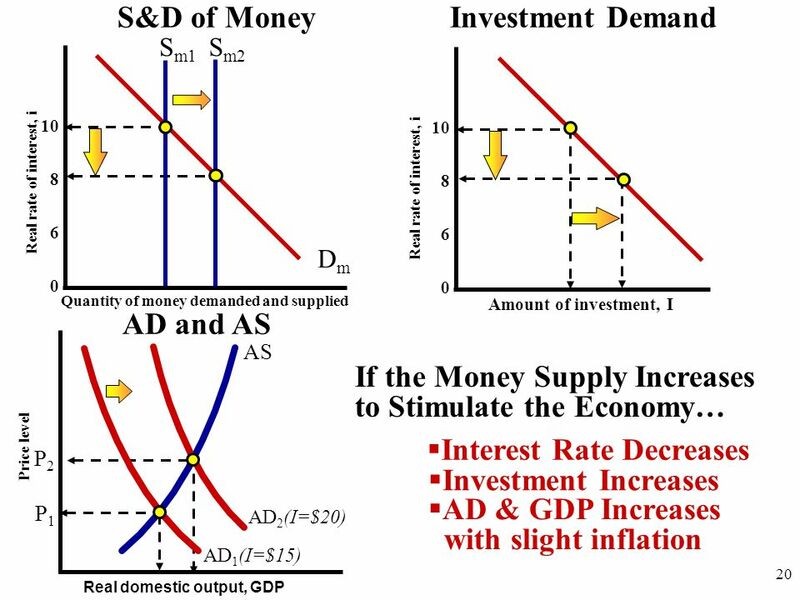 This shows the effect on REAL INTEREST RATE Demand- Inverse relationship between real interest rate and quantity loans demanded Supply- Direct relationship between real interest rate and quantity loans supplied What is the result of deficit spending? 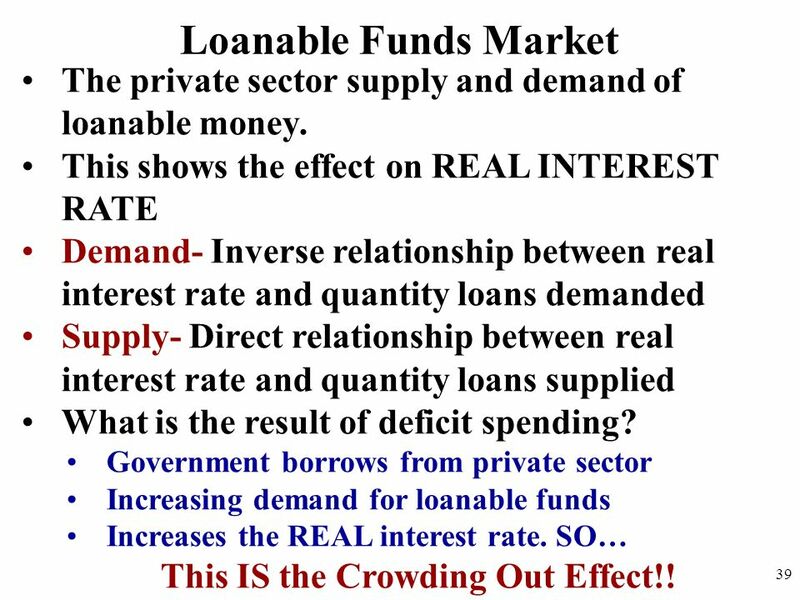 Government borrows from private sector Increasing demand for loanable funds Increases the REAL interest rate. SO… This IS the Crowding Out Effect!! 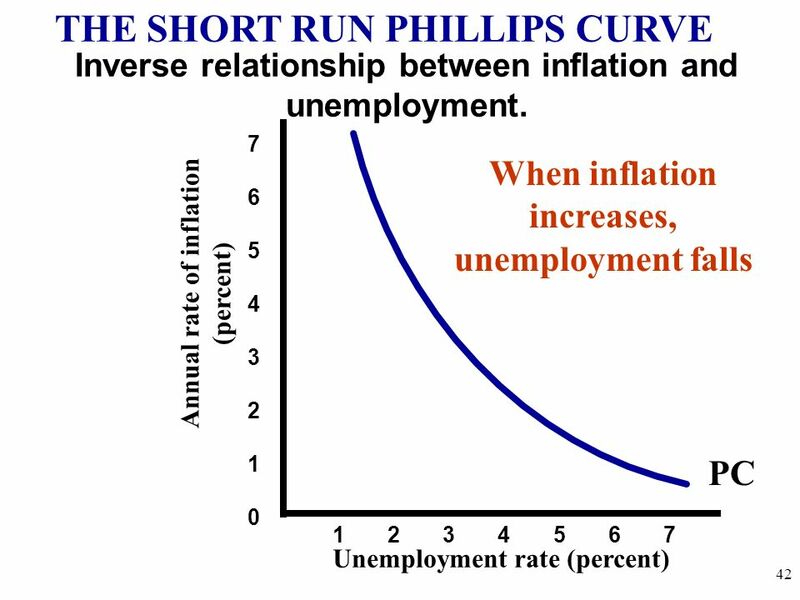 40 The Phillips Curve Shows relationship between inflation and unemployment. 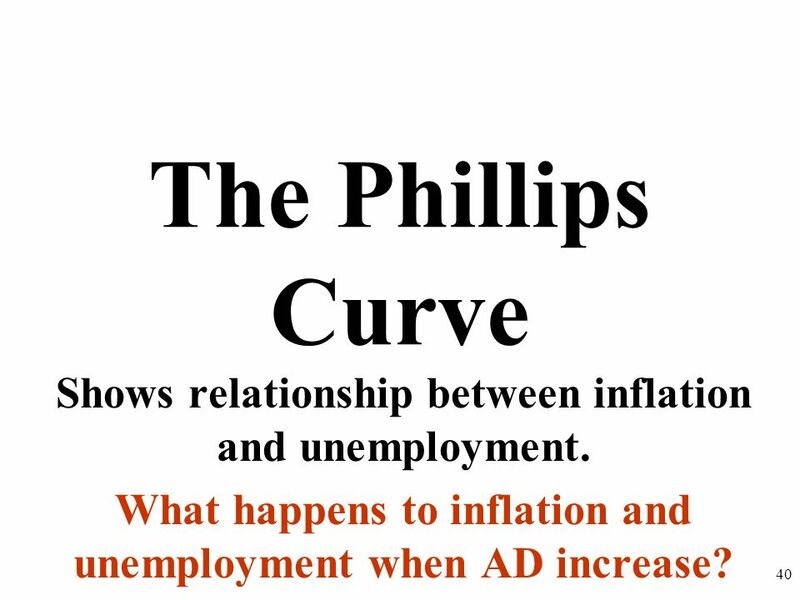 What happens to inflation and unemployment when AD increase? 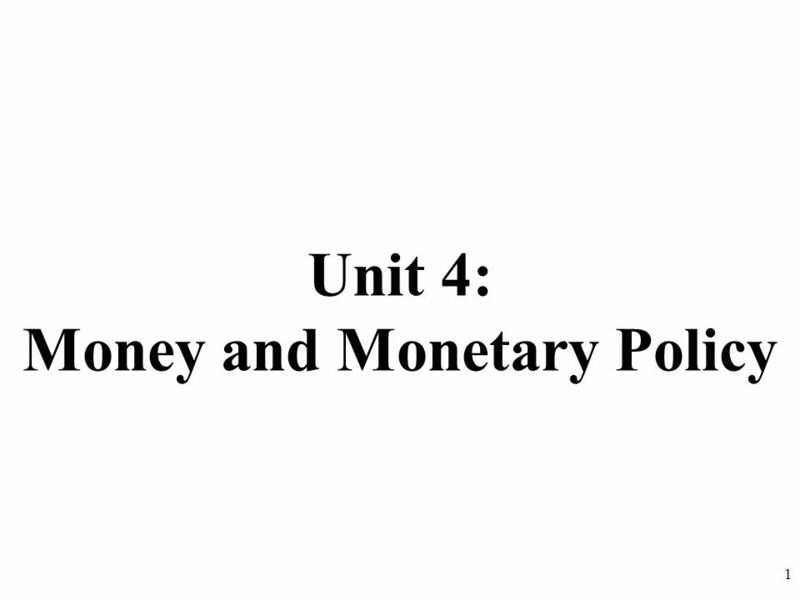 Download ppt "Unit 4: Money and Monetary Policy"
Unit 4: Money and Monetary Policy 1. 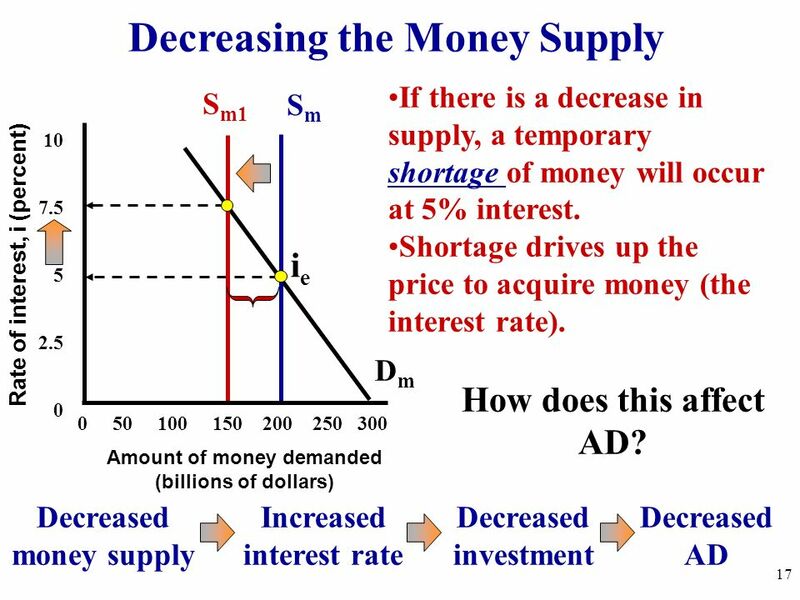 The Money Market (Supply and Demand for Money) 2.